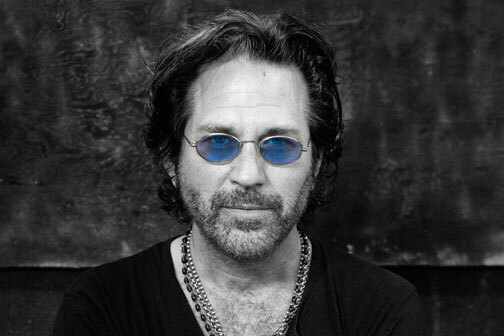 Kip Winger, the multi-platinum recording artist, may be best-known for his success with Winger and his early days as a bass player with Alice Cooper. However, the range and scope of his musical journey can be more fully experienced on his various solo albums including "This Conversation Seems Like A Dream", "Songs From The Ocean Floor", "From The Moon To The Sun" and his most recent composition "Ghosts For String Orchestra, Piano And Harp". Synchro Arts are proud to have him as an Synchro Artist and we asked him about his journey, his work and why he uses our software. "Never leave yourself at the mercy of others!" I always had demo recording gear and gradually began producing myself. As time went on, I had the good fortune of working with and learning from a few of the greats. For example, the late Mike Shipley was a good friend and I did several records with him. Also, Richard Dodd - a supremely gifted producer and engineer. I mainly divide my time between rock records with Winger and writing classical music. I'm currently working on the 6th studio Winger record due out in March 2014. I also have 2 classical pieces out there, one is "Ghosts with the San Francisco Ballet" at the Lincoln Center in Oct 2013 and "Conversations with Nijinsky" with Tucson Symphony in Oct 2013. I've always used VocALign for vocals - on my own records and other records that I've worked on. These days I find that singers aren't always great at doubling. VocALign is amazing and it saves me valuable time in the studio. I like perfect vocals. I tend to leave the lead vocal alone to lend good vibes to a record - then I surround it with perfect vocals in the background. VocALign saves me the hassle of singing more than I can handle! I never have to overwork my voice - just get it very close and VocALign finishes the job beautifully. Yes, as I've said background vocals. Keep in mind that on some songs I'll do up to 100 tracks of background vocals. For example, on a song called "Why" on my solo record "From The Moon To The Sun" I did 112 backgrounds...lined em all up in VocAlign! READ THE MANUAL FIRST! So many people just jump in there and then call tech support and ask all the questions that are in the manual it's crazy! Other than that.. TRUST YOURSELF and be creative!!! Basically anything goes these days! Buy my records! Hahaha…glad to be a part of all of this...music is a miracle!